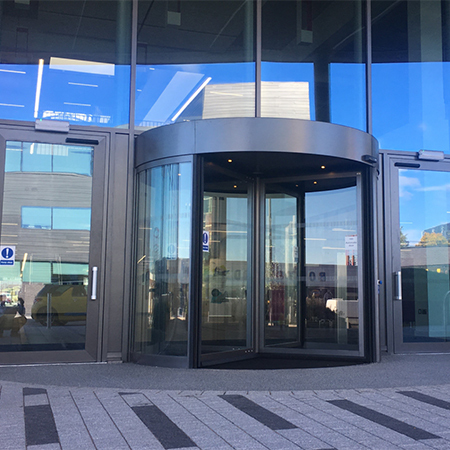 A state-of-the-art training facility, the National College for High Speed Rail in Birmingham has just opened its impressive TORMAX automatic revolving entrance doors, welcoming in the first cohort of high speed rail apprentices and learners. Two college campuses, one in Birmingham and one in Doncaster, have now been completed and together they will play a key role in generating the workforce of the future who will design and build the UK’s new high-speed rail network. 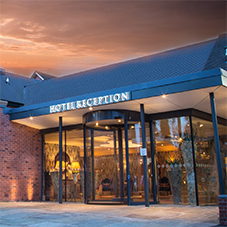 TORMAX worked closely with Elite Aluminium Systems Ltd to deliver an entrance solution that creates a prestigious frontage, setting the tone of the facility from the start. Powered by the technologically advanced TORMAX 5251 operator, the four-leaf door reflects the cutting-edge design of this important new learning resource. 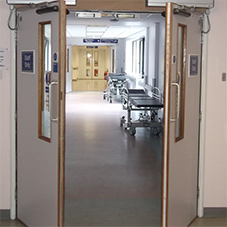 Ensuring clear and easy access for all staff, learners and visitors, the entrance also incorporates two automatic swing doors driven by TORMAX 1201 operators, situated to either side of the revolving door. 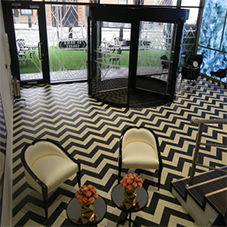 The green credentials of the entrance system were an important factor in the specification process. Contributing to low energy consumption targets, the revolving door can be activated in two modes, either starting rotation when slight pressure is applied to a door-leaf, or when the door activators are triggered. In addition to being used in full-power application, the 1201 operators driving the swing doors have the option of power-assisted manual door opening mode and low-energy mode without safety features. Further contributing to the sustainability of the entrance, the revolving door incorporates an air curtain, significantly helping to maintain the internal ambient temperature.